David Hepworth's blog: How did students get so easy to offend? 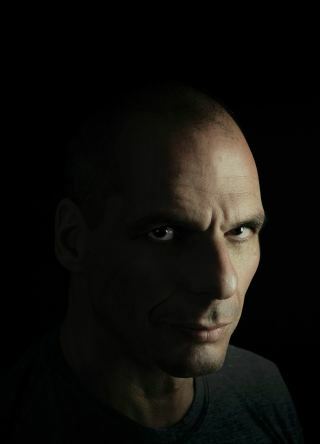 Profile of former Greek finance minister of Yanis Varoufakis in the New Yorker has two brilliant items of trivia. The first is that his partner may have been the girl who came to Greece with a thirst for knowledge and studied at St Martin's College in Pulp's "Common People". The second is that when he was a student at Essex University in 1978 he was the spokesman for the Black Students Alliance. He remembers that everyone would laugh when he got up at meetings and said "we blacks believe...."
Add this to the thousand and one things you couldn't do at a university today. How did students get so easy to offend? They've never been the same since they started going to UNI instead of University. I don't think it is students are easier to offend, just that the tiny minority of the easily offended ("offendotrons" is the neologism) who once upon a time would just fume silently are now afforded a platform to express themselves and have their voices heard louder than perhaps they merit.